This property is a quintessential example of the refined elegance of the French Riviera, a mansion that truly embodies the charm of the region. From the chandeliers that hang from high ceilings. 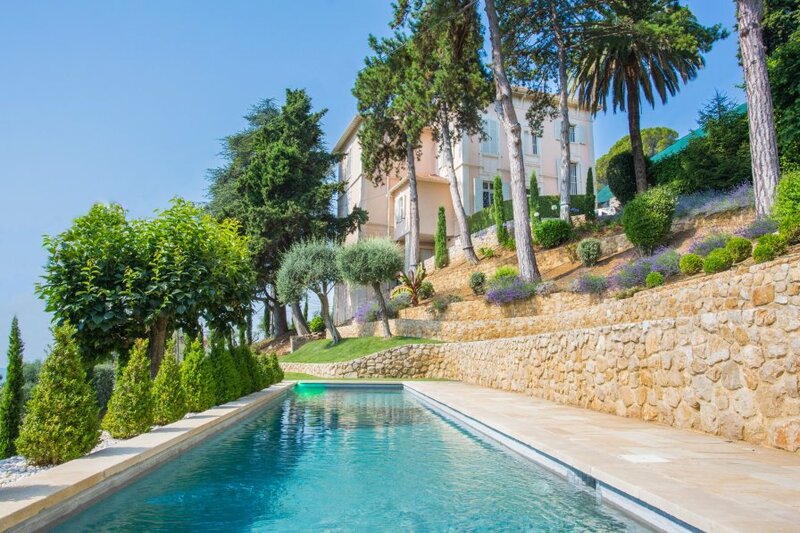 This property is a quintessential example of the refined elegance of the French Riviera, a mansion that truly embodies the charm of the region. From the chandeliers that hang from high ceilings, the four poster beds and standalone bathtubs, to the expertly landscaped garden terraces including a pool and Jacuzzi. Across 6 stunning and large bedrooms, each with its own unique character, up to 12 guests can enjoy the finest luxury accommodation. The high hilltop location offers stunning views over the town of Grasse, and out to Nice and the sea beyond, with even the Isle of Corsica visible on a clear day. There is a brand new kitchen and dining room perfect to spend joyful evenings together. At Villa Marchand all guests will be sure to find rooms and features to suit them, whether it's the home cinema, or that perfect spot on one of the idyllic terraces. Come and experience the high life of the greatest perfumiers of the 18th century, updated with all modern comforts, in one of the finest mansions in Grasse – historic world capital of perfume!